“Maria by Callas” is Callas 2.0. There is no narration, other than quotes from Callas herself. We see archival footage, but no one ever tells you that this guy is Luchino Visconti and that guy is Giovanni Meneghini, or even who those people were. Likewise, nobody explains why Callas appears to weigh 200 pounds in 1952, is somewhat lighter in 1953 and is thin thereafter. For Callas novices, this approach might work, at least for adventurous souls who like diving, not easing, into swimming pools, and who seek to learn new languages through total immersion. But for Callas lovers, this approach is nothing but a pleasure, a jazz riff on a classic song – you know, the one about the great soprano with the strange, ugly-beautiful voice, whose own life became something worthy of an opera. But “Maria by Callas” finds lots of press footage that most of us have never seen, filmed interviews for television or newsreels, and it’s all fascinating. Most of the footage here is colorized, which has the effect of taking the historical and making it feel immediate. It also reveals Callas’ youth. Though, as a young woman, Callas had the aura and the authority of a 50-year-old, she was, in her heyday, in her early to mid-30s. Seeing her as she really was makes her seem less formidable and more vulnerable. It brings us closer to how she saw herself. 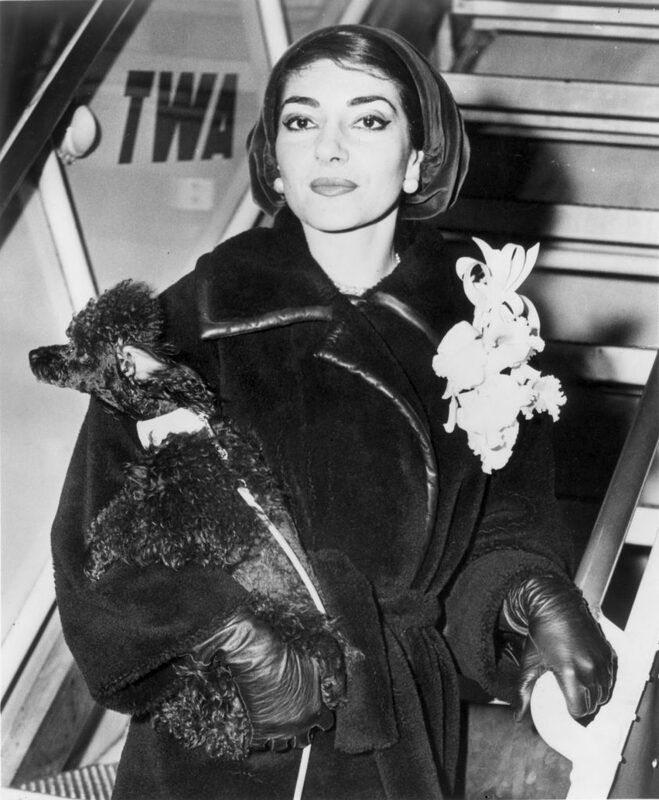 For the record, Callas was born in New York in 1923. She studied opera in Athens, where she spent the war years. Her career began in the late 1940s, and her great career spanned the 1950s. In 1959, she started a relationship with billionaire Aristotle Onassis, during which time she retreated from performance, though she did some significant work in 1964 and 1965. Like the title character in Bellini’s “Norma,” she gave up her power for a man who eventually left her for a younger woman – in this case, Jackie Kennedy. This blow came at a time when vocal problems prevented her from a return to greatness, and she died in 1977 at age 53. All the choices made by director Tom Volf – the use of Callas’ own words, the impressionistic structure, the colorization, and the musical interludes, which are allowed to breathe – help the audience feel what it must have been like to be Callas. In the performance scenes, she looks, at times, in a state of transport, as if living inside the highest reaches of human possibility. At other times, she seems besieged, surrounded by people she doesn’t understand and can’t communicate with – the press, in particular. The press scenes are both painful and comical. On several occasions, Callas is asked about her fiery reputation, to which she reacts as if to say, “How could anyone say such a thing about little ol’ harmless me?” She is about as convincing as the wolf in a fairy tale. Not possessing much of a sense of humor about herself, she adopts a kind of Euro-diva-speak in her interviews. But the studied presentation drops altogether when she’s angry – the speaking voice goes up a full octave, and Callas sounds as New York as Rosie Perez. ​What’s clear and becomes yet more obvious as the film wears on is that Callas gave more than she ever got back – and that, unlike most artists, she knew it at the time. She was painfully aware of living a legendary life even as she was doing it, and she bore witness to the fact that a legendary life isn’t much fun. The least we can do is enjoy the fruits of her sacrifice, her rich and enormous legacy of live and studio recordings. “Maria by Callas” is a forceful reminder and an invitation to do that.